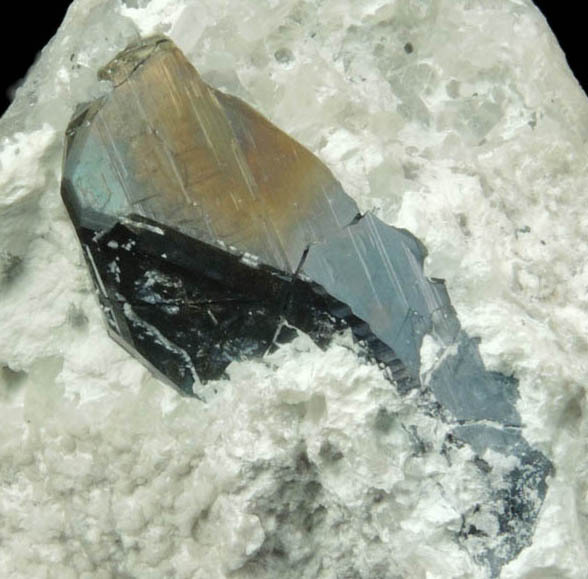 Mineral Specimen No. 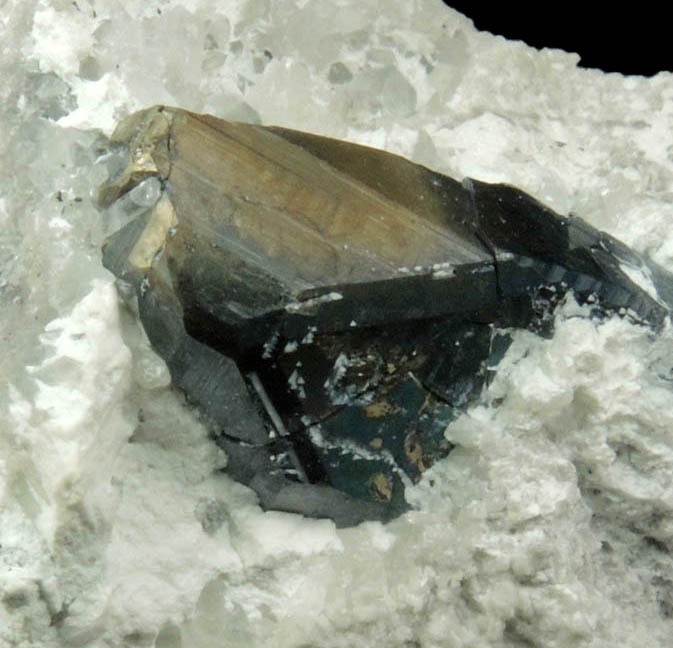 75757: Pyrite with Chalcocite coating for sale from Milpillas Mine, Cuitaca, Sonora, Mexico. 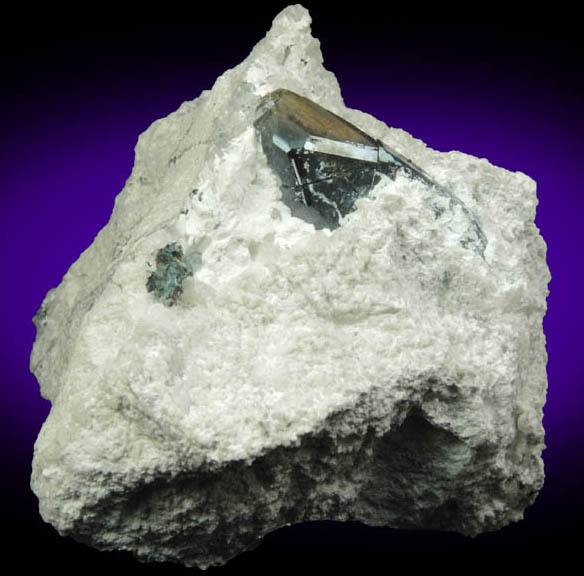 Description: Lustrous gray-metallic pyrite crystal in white dickite-rich matrix. 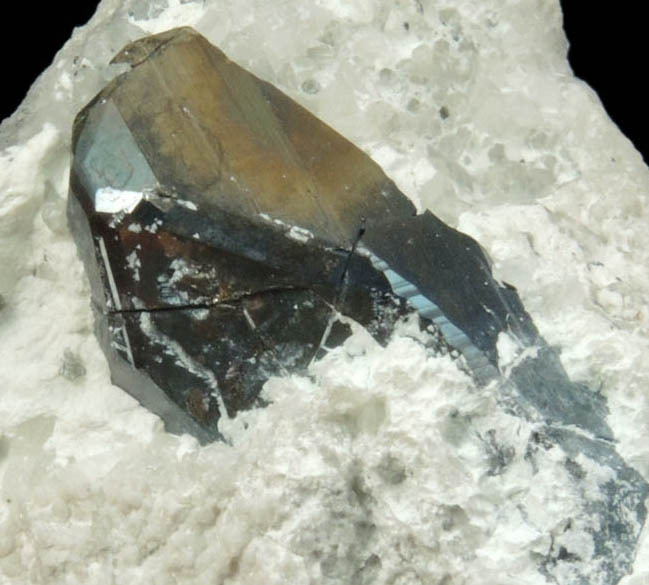 The unusual gray color is caused by a thin (5-10 ?m) layer of chalcocite on the surfaces of the pyrite crystal. 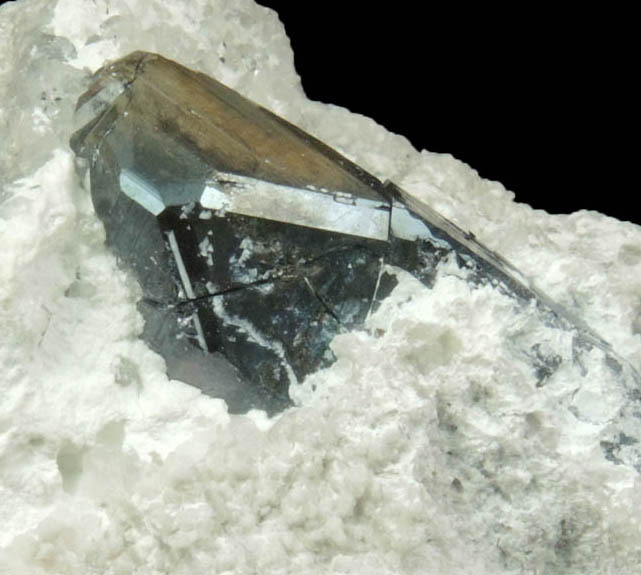 One crystal face is not fully coated and exhibits yellow-metallic color. No damage. Collected in 2015. Analysis of coating performed from Ben Grguric at South Australian Museum..